If you try to install the Microsoft .NET Framework 3.5 on a Windows Server 2008 R2 server, you’ll get the error “You must use the Role Management Tool to install or configure Microsoft .NET Framework 3.5”. This is because the Microsoft .NET Framework 3.5 is already installed, you just need to enable the feature. 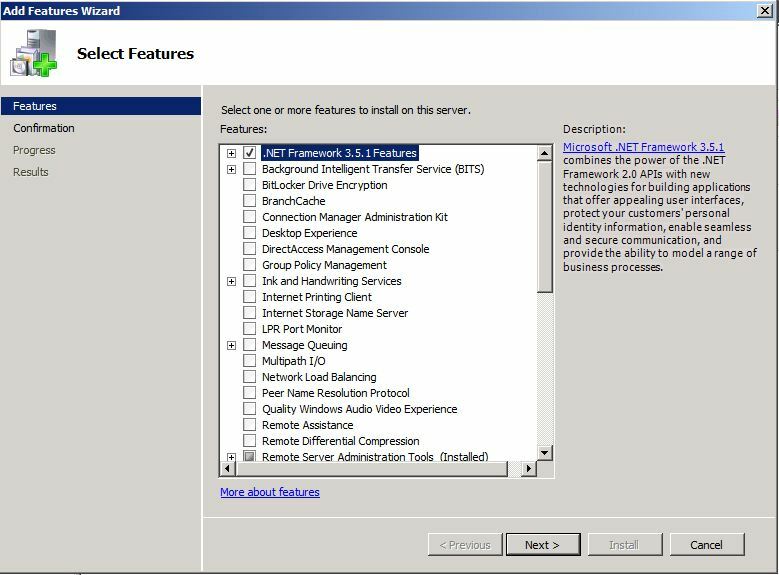 Open Server Manager, navigate to Features, click Add Features and tick .NET Framework 3.5.1 Features. Click Next to install. This entry was posted in General on February 9, 2011 by richardstk.